Join us for an introduction to the nascent discipline of Speculative Design, explored in the context of an informal, participatory workshop employing the Ethnographic Experiential Futures approach to Foresight. The world is transforming at an ever-increasing pace; from the political & economic landscape to emerging technologies affecting mankind and our environments. How will Design play a role in these transformations? How will we play a role in these transformations? How will the role of Designer transform as the future rapidly becomes the future-present? 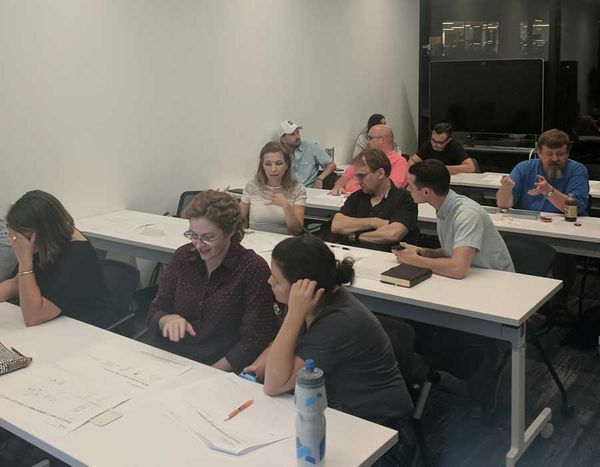 Join Adam next Thursday, 11/8 in the MobilityX room at Capital Factory to prototype images of the future, your future, our future, and the collective near-term future of transportation infrastructure in Austin. In this hour and a half morning workshop Adam will be introducing the nascent discipline of Speculative Design, explored in the context of an informal, participatory workshop employing the Ethnographic Experiential Futures field guide. Speculative Design is an approach that allows designers to consider the potential futures we might inhabit by imagining products, services, and the cultural impact of our work on society. Adam Zeiner is an Interaction Designer at the Design Institute for Health, a partnership between the Dell Medical School and the College of Fine Arts at the University of Texas at Austin. Adam focuses on Systems, Services, Design-Futures, Information Architecture & Visualization, and the interactions of actors in systems. Outside of work, Adam is a Founding Partner of the vurv tech-arts collective, the acting Continued Learning Director of fresh2design, a Board Member of The Design Futures Initiative, and Organizer of the Austin chapter of the Speculative Futures Meetup. He also enjoys getting outdoors, trying new restaurants & cocktails, tattoos, and traveling as much as possible.